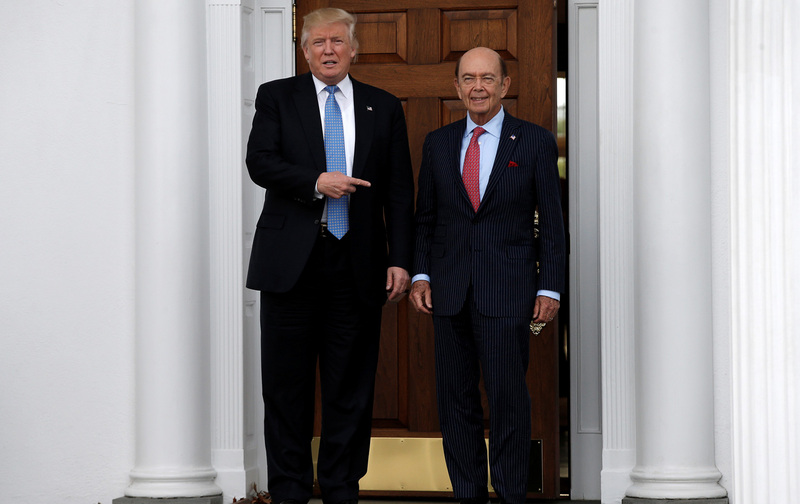 Trump doesn’t need fast track to accomplish bilateral deals, but he could use it to dole out corporate favors. Donald Trump’s top priority on his first day in office, per a video released by his transition team, will be to formally withdraw from the Trans-Pacific Partnership (TPP), and instead “negotiate fair bilateral trade deals that bring jobs and industry back onto American shores.” This move would officially rupture the bipartisan consensus on globalization, and adherents to that view are sick with worry. They solemnly warn of the damage to American geopolitical prestige. They fear that China and Russia will exploit the global power vacuum to install their own free-trade zone under their own rules. And they note ruefully that other countries in the region are flocking to join such pacts. Set aside the fact that stronger economic integration in the Pacific Rim would boost the US economy. There’s also the point that deliberately excluding China from TPP negotiations kind of disqualifies objections to China doing the same thing. But Trump’s announcement should actually lead to a broader question: If the United States is closing out the era of multilateral trade agreements, why does the president need fast-track trade authority? Democrats looking to signal their support for working families and expose Trump’s lack of interest in their well-being should be asking this. Fast track, most recently passed in June 2015, streamlines the process for trade agreements to advance through Congress. It guarantees a timely floor vote in the House and Senate without committee markups, filibusters, or the possibility of amendment. With fast track, Congress loses the ability to choose negotiating partners or influence the final product. They can provide negotiating objectives for future deals, but there’s no mechanism to penalize presidents for not following them. But Trump has neutralized that argument. He wants to do bilateral trade deals with individual partners. And there’s a long history of accomplishing those without fast track. In fact, as Lori Wallach and Todd Tucker documented for Public Citizen, the Clinton administration did not enjoy fast-track authority for most of its term, from 1995–2000, and yet it managed to negotiate and complete 130 trade and investment agreements, including a major free-trade agreement with Jordan that included stronger labor and environmental protections, and others with Chile and Singapore. “I don’t think the lack of fast track impeded our ability to achieve our major trade goals,” said Charlene Barshefsky, Clinton’s trade representative, in 2000. Without multilateral deal-making as the main rationale for fast track, the only reason to continue with it is to give the executive branch the power to make broad policy changes in agreements that might fail under the normal legislative process. Stuck into a trade deal for expedited passage, these items from the corporate wish list get new life. So an enterprising Democrat could introduce a bill to rescind the current fast-track agreement, scheduled to last until 2021, on the grounds that the public has rejected the types of deals that take advantage of the process. That aligns Democrats with the widespread public skepticism of trade in areas where they performed weakly in 2016, and positions the GOP (including Trump) on the side of the multinational corporate interests that want the back door to the legislative process kept open. Rescinding fast track would not prevent Trump from using the World Trade Organization’s complaint mechanism over unfair practices, or reinstating the review process for NAFTA, or declaring China a currency manipulator, or any other retaliatory measures. It would not prevent him from making a single trade deal with another country. It would simply subject those agreements to the same type of congressional scrutiny available for every other piece of legislation. Trump spent an entire campaign lambasting secret deals made for special interests and not the people. Why should he retain the very mechanism used to grease those secret deals? In their blueprint for progressive trade policy, Jared Bernstein and Lori Wallach called for fast track to be replaced, because it “has enabled wholesale corporate capture of the process and thus the morphing of ‘trade’ agreements away from a focus on trade.” Democrats ought to challenge Trump by asking him why he needs an authority he doesn’t plan to use, that only blocks public input from a process that can determine their economic future. Paul Ryan supported fast track; Republicans offered up most of the votes for it. For Democrats looking for a way to reconnect with working-class Rust Belt voters who have lost jobs and livelihoods from corporate-written trade deals, this is an excellent way to draw distinctions. Withdrawing from the TPP does not go far enough, when a President Trump could merely tweak a few sections and bring it back for a guaranteed up-or-down vote. Talking about protecting American workers while reserving the right to sell them out later would make Trump just another politician who whispers sweet talk about populism to get elected. There’s a real opportunity here. It would take just a one-page bill to repeal fast track, something Trump claims not to need. Which Democrat will write it?